999 Silver Bullion – Why Can It Be Your Best Silver Investment? A gold and silver investment is a very popular option right now, and these metals have been in high demand throughout history as well. 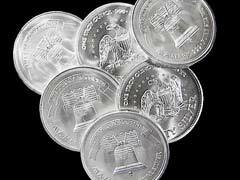 If you are going to invest in silver, the best possible choice to consider is 999 silver bullion. This is considered investment quality bullion, and you can find bars and coins of this quality in a variety of weights and sizes.